BUENOS AIRES (October 14) -- Russia, the most titled men’s freestyle nation in the world, seems well-stocked for golden runs in 2024 and 2028 after Akhmedkhan TEMBOTOV (80kg) and Sergei KOZYREV (110kg) capped the competition with back-to-back gold medals in men’s freestyle. Tembetov wasted little time in disposing of Fateh BENFERDJALLAH (ALG) in the 80kg final, wrapping up the 10-0 technical fall inside the first period. Zozyrev faced a tougher finals opponent, needing every second to work past Amir Hossein Abbas ZARE (IRI), 6-5. The Iranian had spent the morning rounds dominating the center of the mat, but Zozyrev matched Zare’s gamesmanship and plodded his way to Youth Olympic gold. 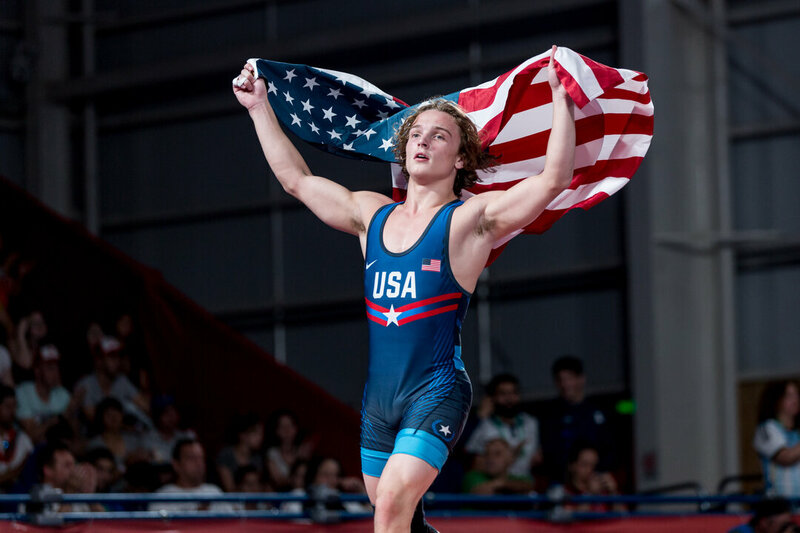 The United States’ Robert HOWARD (55kg) became his country’s first male wrestler to win a Youth Olympic gold, outpacing hometown favorite Hernan ALMENDRA (ARG) by TF, 17-6. Heading into the second period it seemed Howard had the matched handled, but a four-point move by Almendra drew the Argentinian closer to an upset. Howard stayed calm and fought his way for the technical superiority victory. At 65kg Turan BAYRAMOV (AZE) made sure that Iran traveled home with only silver medals, besting Mohammad KARIMISEIFABAD (IRI), 6-1. Umidjon JALOLOV (UZB) took home the night’s first gold medal, taking out Giorgi GEGELASHVILI (GEO), 8-2. The 2018 Senior Wrestling World Championships start Oct. 20 in Budapest. Be sure to check out all the action at www.UnitedWorldWrestling.org.